Asian elephant Chai at Woodland Park Zoo. Photo by Ryan Hawk/Woodland Park Zoo. Woodland Park Zoo loves our elephants Chai and Bamboo, and we deeply mourn the loss of their herd mate, Watoto. Her recent death sent waves of grief through our community of staff, volunteers, members and guests. She was part of our family and will forever be honored in our memories. Woodland Park Zoo’s elephant program continues to spark dialogue in our community. Productive dialogue has led to positive change, including the creation of the community-based Elephant Task Force, which concluded our elephants are in good physical and emotional health, and recommended some improvements to our program already underway. Woodland Park Zoo is a community-based organization that remains open to dialogue, and while we certainly respect personal conviction related to animals, we believe you deserve to draw your conclusions based on accurate information. Here’s the real elephant in the room—the future of elephants is at stake. Each day, 96 elephants are killed in Africa. At this rate, the species will be extinct within 20 years. In Asia, elephants are endangered and wild populations continue to be decimated. This cannot go on. We will not be the generation that allows elephants to disappear. Every time you visit the zoo, you contribute to conservation. Your visit allows us to support direct conservation action on the ground in Africa and Asia through partners like the Tarangire Elephant Project in Tanzania. There our collaborative efforts support a network of 33 game scouts in seven villages who serve as anti-poaching patrol. Our partner reports that in the last year alone, 55 poachers have been arrested. 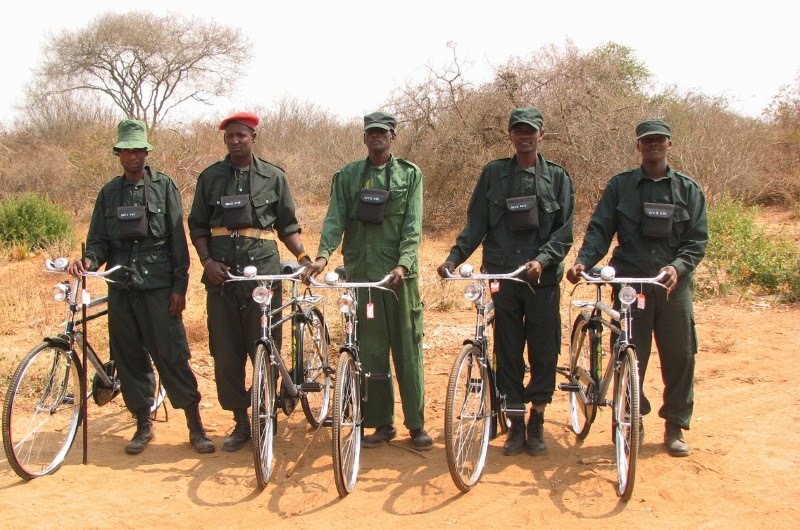 Village Game Scouts sponsored by the Tarangire Elephant Project in the Makame Wildlife Management Area, Tanzania. 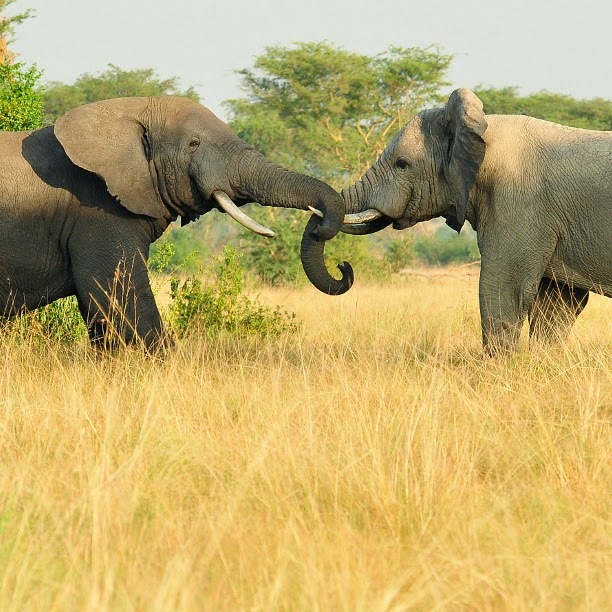 Photo by Boniface Osujaki/Tarangire Elephant Project. We believe those who connect with nature are inspired to protect it. 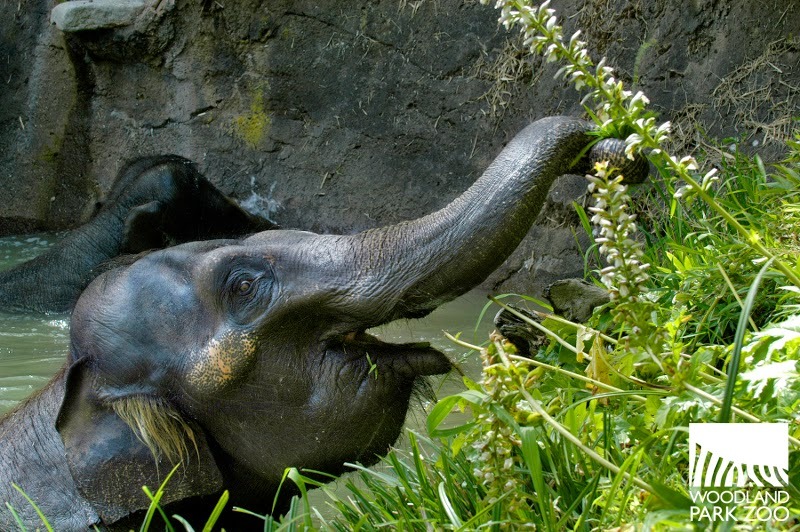 At Woodland Park Zoo, the elephants are conservation heroes. They bring the fight against elephant extinction into the hearts of our visitors and stir us to action. And we’re seeing incredible results. This summer alone, 5,000 zoo visitors and community members have joined our 96 Elephants campaign, named for the number of African elephants killed each day to fuel the international ivory trade. Shockingly, the United States is the second biggest market for ivory in the world. With your help, we are putting pressure on elected officials to end the ivory trade in Washington state. Working with a coalition of more than 150 zoos and partners, we’re committed to stopping the demand, stopping the trade and stopping the killing. U.S. Fish and Wildlife repository of confiscated ivory. Photo by Julie Larsen Maher/Wildlife Conservation Society. What we do collectively is powerful, but let’s not forget about the individuals in our herd. Each has his or her own voice and story to tell, like 9-year-old zoo member Karina, whose advocacy for elephants among her school peers earned her the honorary title of Future Zookeeper of the Year. Karina represents the next generation of conservation stewards whose actions and attitudes will determine the fate of endangered elephants, and in hands like hers, the future looks bright. Video: Elephants inspire conservation at Woodland Park Zoo. Woodland Park Zoo has been a part of this broad community for more than 100 years, and in that time, much has changed in our knowledge and practices, and in our mission and vision. Looking forward, we’re committed to always listening, always learning, and always evolving, working toward one vision: a world with elephants for generations to come. While I am a Zoo member and support most of what you do, I have to heartily disagree here. These elephants belong in a sanctuary. The exhibit area is small, dark and dreary. There's hardly any room for them to walk around. The Elephant Task Force members are mainly corporate CEOs and lawyers. Why not take the funding for a "remodel" that adds no new space and build a state of the art exhibition that has video cameras of elephants in protected areas in Africa? You can fight the ivory trade without holding two aging elephants captive in an area that's out of date. Please show some compassion. Thank you. Although I am no elephant expert, I also agree that elephants don't belong in a small, dark exhibit. The zoo was just granted their AZA accreditation, and surely all situations in the zoo are humane. In terms of welfare though, it is absolutely concerning that the elephants don't have as much room as they should. I've been reading "Understanding Animal Welfare: The Science in its Cultural Context" by David Fraser, and there are some really important concepts discussed in the book that can apply here. The most pressing matter is whether the animals are healthy, which they apparently are. Then comes the matter of their general happiness and overall welfare. An important welfare concept discussed by Fraser is whether the animals are able to perform their natural behaviors. In the case of elephants, that may be walking miles and miles a day (or maybe not, I don't actually know much about elephant behavior). If their enclosure is small that may not be possible. A sanctuary may be a better option for the elephants until a more appropriately sized exhibit can be built. I'm wondering if maintaining the elephants in a small enclosure can lead to future mental and behavioral problems and the beginnings of stereotypical behaviors. We often see stereotypical behaviors in zoo animals as a result of them being mentally and emotionally frustrated. Fraser also discussed stereotypical behaviors and how they may serve as an indicator of very real mental health problems in animals. Mental health problems in elephants is certainly something to be wary of, they're so large and can easily hurt humans, each other, or themselves without meaning to or understanding what they're doing. The last comment I have is in response to what the Anon comment said about how people would be sad if the elephants left. To put it bluntly, people don't matter in this situation. Their desire to see an elephant absolutely does NOT take priority over the health and welfare of the animals. Thanks for your thoughtful comments. Much science is emerging about animal welfare and we have learned so much about elephants physical and social well being over the decades. While space may be important for elephants, there are other important dimensions for elephant care, including the quality of the space, group size and composition, behavior and social compatibility of individual animals, quality of veterinary care, staff expertise and long-term financial stability. The zoo’s elephant exhibit offers a complex, quality space with numerous, enriching choices for our elephants. Trails offer a varied, rolling terrain to explore; soft dirt and grass to walk on and graze; sand, mud and a pool for splashing and swimming; and an abundance of trees, grass and shrubs. Another unique feature in our exhibit is the many leaves and branches (known as “browse”) along the outside of the perimeter fencing that are within trunk reach for the elephants. Our elephants are curious and can choose to browse from these plants throughout the day.